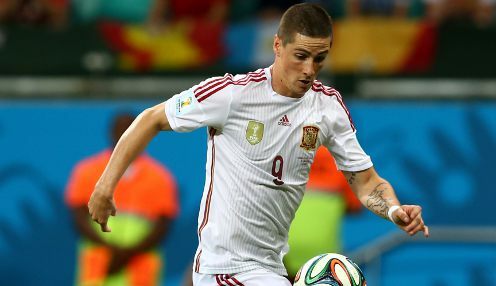 Sydney FC have banked almost $2million through the sales of imports Bobo and Adrian Mierzejewski and the Sky Blues are now being linked with former Spain international Fernando Torres. Brazilian ace Bobo, who won the Golden Boot as the Sky Blues defended their A-League Premier's Plate, has headed to Turkish side Alanyaspor. Polish ace Mierzejewski has completed a $1.1million move to Changchun Yatai in China, with the combined fees for he and Bobo reported to be around $1.9million. Mierzejewski has been in demand, having won the Johnny Warren Medal as the A-League's player of the year, and had taken to social media last month to indicate he'd been unhappy with Sydney FC's offer. The club had only just re-signed Bobo for next season on a new and improved one-year deal, while Mierzejewski was also under contract for 2018/19 and the Sky Blues had offered him better terms. However, the cash from their transfers could now fund a move for 34-year-old former Liverpool, Chelsea and AC Milan striker Torres. New head coach Steve Corica will need to rebuild his squad, which has now lost eight players since the end of last season. The previous departures have included defenders Jordy Buijs and Luke Wilkshire, midfield veteran David Carney and Striker Matt Simon. Bobo, who scored 27 goals in 27 league games last season, said: "I've had a fantastic couple of years with Sydney FC which have been among the most memorable in my career and I will never forget my time in Australia. "I know Steve and the club wanted me to stay and they tried very hard to persuade me, but this is an opportunity I feel I need to take at this stage of my career, and I am hugely grateful to everyone at Sydney FC for their understanding on the matter." Sydney FC are 11/5 to win the A-League 2019 Grand Final, while the Sky Blues are 50/1 to win the minor premiership.